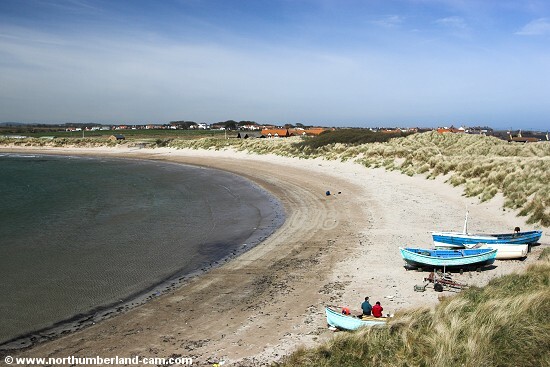 Beadnell Bay is a very large beach that runs from Beadnell to High Newton. 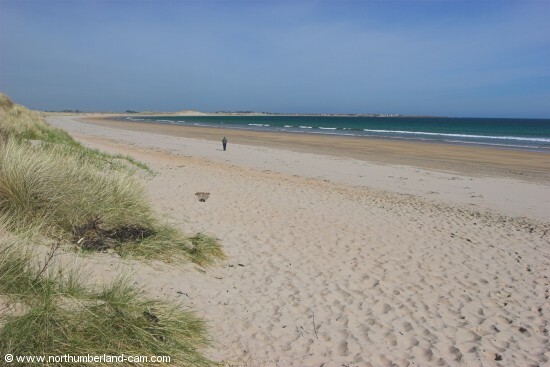 The north end of the beach near Beadnell Harbour is more heavily used than the south end which can be completely empty at times. 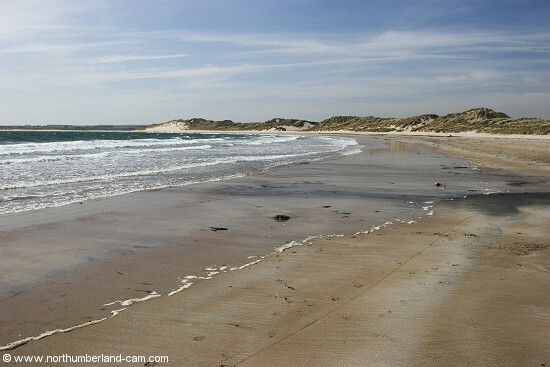 The beach is backed by very large dunes for much of its length and split by the Long Nanny Burn which flows into the sea here. 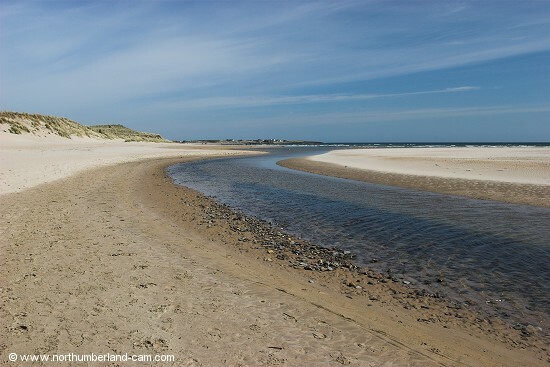 Walkers need to make a detour to a bridge to walk the full length of the beach. 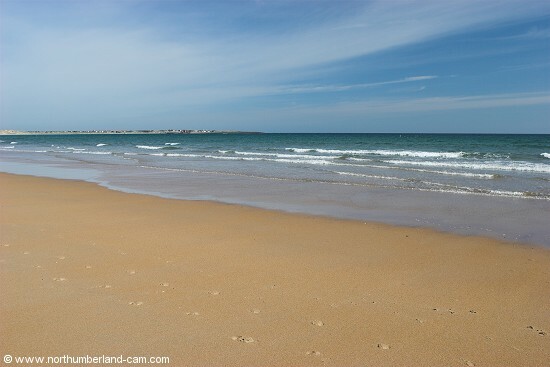 North end of the beach at Beadnell Bay beside the harbour. 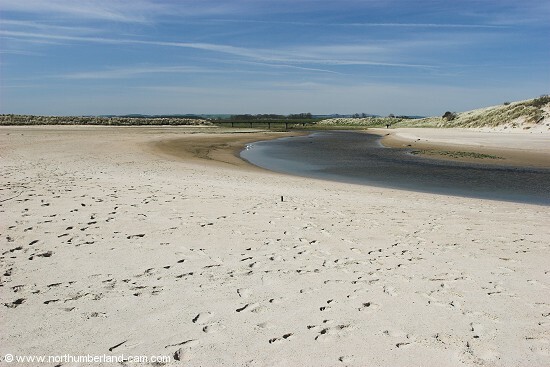 View south along Beadnell Bay. 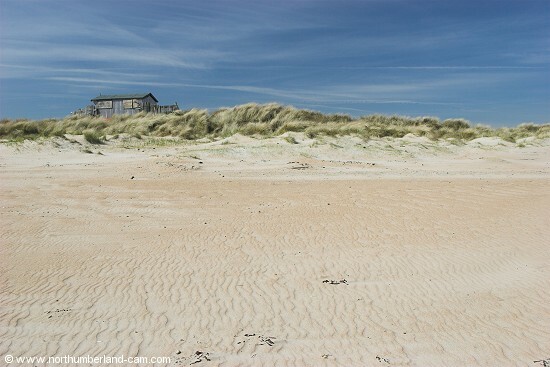 View north along the beach at Beadnell Bay. Old wooden hut in the dunes. 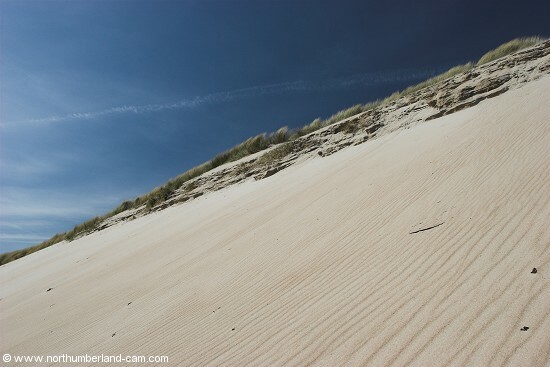 Very steep sand dunes at the north end of Beadnell Bay.